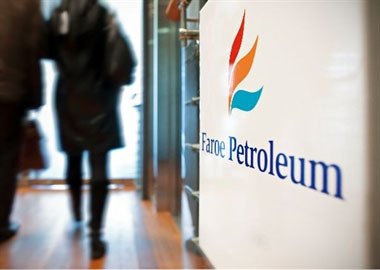 Faroe Petroleum, the independent oil and gas company focusing principally on exploration, appraisal and production opportunities in Norway and the UK, has announced that the partners in the Fenja (previously named Pil/Bue) field (licence PL586) have submitted the Plan for its Development and Operation (PDO) to the Norwegian Ministry of Petroleum and Energy. The Fenja field (Faroe, 25%) was discovered in 2014, in the Norwegian Sea, approximately 30 kilometres south west of the Statoil-operated Njord field (Faroe, 7.5%). The operator of the Fenja development, VNG, estimates that the field contains gross recoverable resources of approximately 100 million barrels of oil equivalent, and is comprised predominantly of oil. The proposed Fenja field development will comprise three horizontal production wells—one gas injector well and two water injector wells—tied back to the Njord A floating production facility for processing and export via the Njord B floating storage and offloading vessel (FSO). The Fenja licence partners are planning to invest NOK 10.2 billion (GBP 900 million) with planned production start-up in 2021 and a planned field life of 16 years. “As 2017 draws to a close, Faroe Petroleum is in a good place, with a fully funded investment programme, a strong balance sheet, a number of high quality development projects underway to meet our production goals. We also look forward to another high impact exploration programme in 2018, starting with the OMV-operated Aerosmith/Hades well, currently drilling in Norway,” Stewart adds.